Unfortunately, home fires are an all-too-common occurrence. In many cases, the root cause is an electrical failure of some kind. Sometimes it is set off by a mechanical failure of an electrical device, and other times, it is due to improper usage or design of the electrical system in your home. 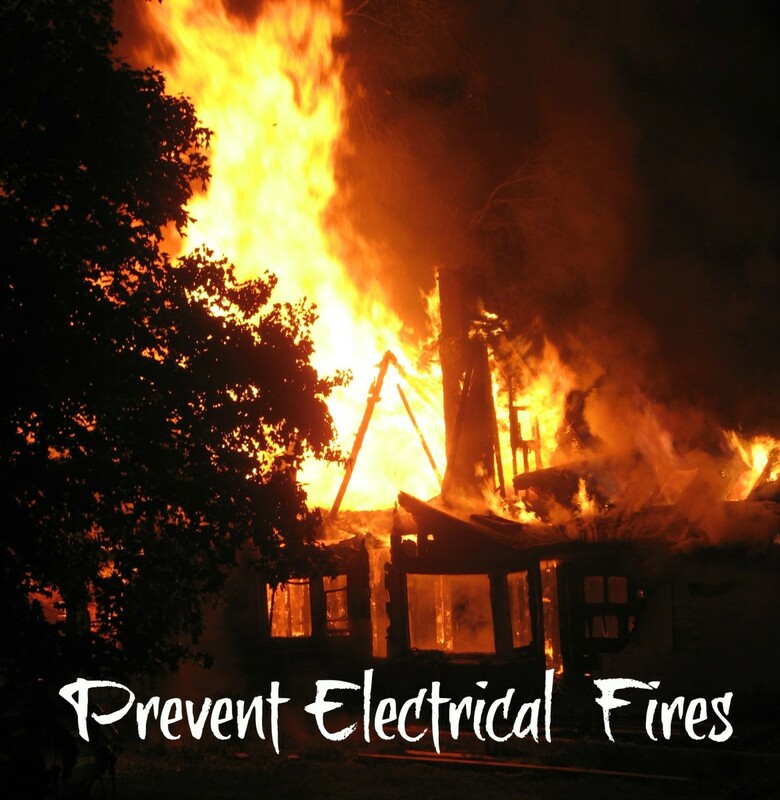 Nearly all electrical fires can be prevented, though, if we understand the causes and take appropriate steps to prevent them. Loose and worn outlets. If cords can be plugged into an outlet very easily or if they simply fall out as time passes, the outlet needs replacement. If appliances plugged into an outlet operate only intermittently it can be caused by poor connections either in the outlet itself (outlets with wires plugged into the back of them instead of being secured by a screw will fail with time) or in wire nuts in the box behind the outlet. Either tighten the wire nut connections and/or again replace the outlet. Like outlets, switches will wear out over time. They will usually last for many years, which makes it easy to think they will last forever, but they won't. Just like outlets, the wire connections in the back or side of the switch may be loose and, again like an outlet, the switch needs replacement. It is also possible that wire nuts are loose behind the switch. As electrical parts age the wiring degrades very slightly each year. A light fixture may be good for 25 or even 50 years, but eventually the wire insulation inside chars, the connections corrode and the light bulb sockets won't hold a bulb well. If lights flicker or won't stay lit and potential switch problems have been eliminated it may be time to replace old light fixtures. The use of extension cords should be evaluated for necessity; they are a very common cause of home fires. When a cord is kinked or smashed (if it has been walked on it too many times, for instance), the electrical resistance of the wire inside rises, which creates heat. Eventually, the insulation may well begin to melt but this is not obvious; it may just be a small portion between the copper wires inside. As this happens more and more current begins to flow between the wires and eventually causes a fire. If you absolutely must use an extension cord for long periods of time make sure it is completely out of the way and not subject to physical damage. Under a couch, perhaps, or tucked into the edge of carpeting - whatever it takes to make sure that feet, vacuum cleaners, pets and small children can't reach it. 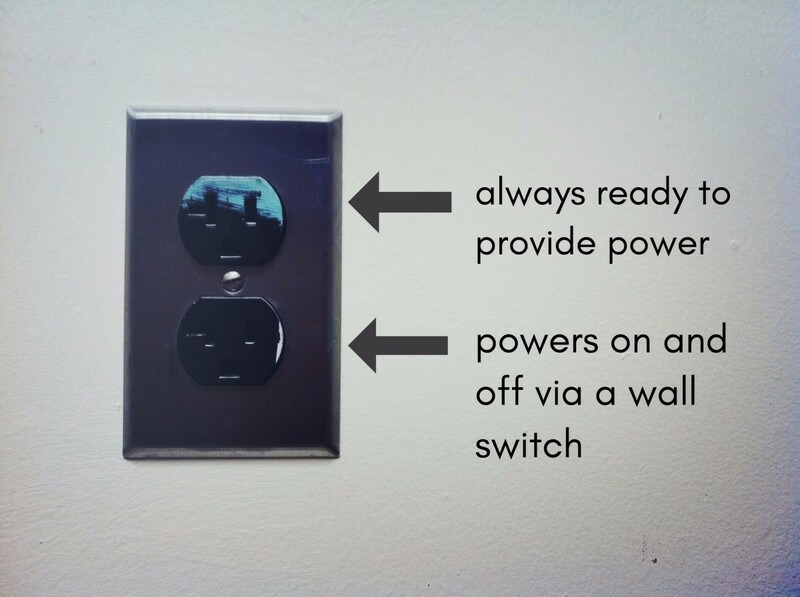 Better to simply add a new outlet to an existing one than use an extension cord for months or years. Many older homes are really marginal in their ability to safely provide enough power to operate all the electrical things we use in modern life. There just isn't enough power available to the home or there aren't enough individual circuits. In years past only one circuit was designed into kitchens, and that isn't enough to properly operate a microwave, refrigerator, toaster, electric grill, mixer, toaster oven, etc. The result is that the circuit breaker or fuse is always tripping. 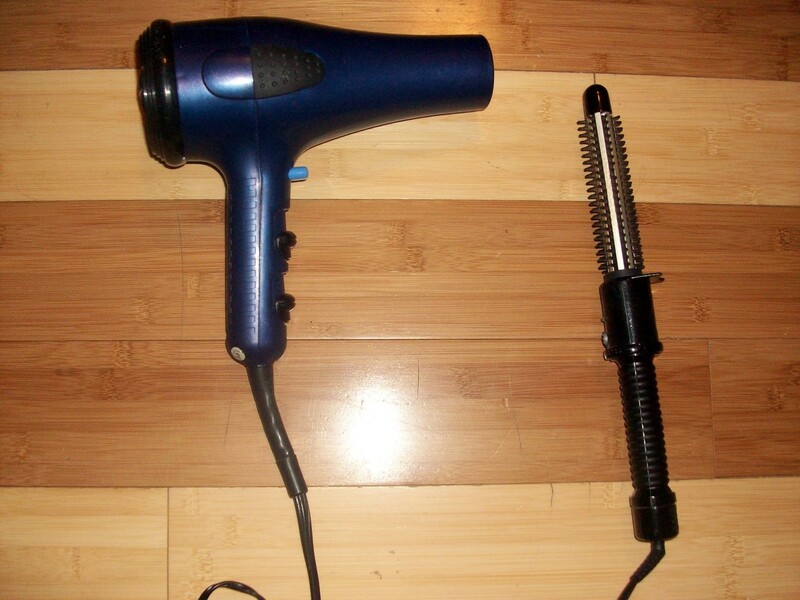 The same is true in bathrooms; the bathroom circuit commonly supplies bedrooms as well, but add in a curling iron and a hair dryer along with the bedroom TV and electric blanket and that circuit is often overloaded as well. Every time a circuit trips or a fuse blows it is an indication that the circuit is overloaded, but most people will simply reset the breaker and do it again. The inevitable result is that the circuit breaker is slowly damaged to the point it doesn't work properly anymore and the panel itself can be damaged as well. As an electrician, I've seen house panels that have the massive bus bars inside, carrying the entire power for the whole home, half melted from repeated overloads and this is a recipe for disaster - it most certainly is one way that home fires start. If you are commonly tripping a breaker or having to replace blown fuses, have additional circuits installed as necessary. It can be expensive but it's better than burning the house down. In addition to electrical overloads is overloading a light fixture with lamps that are too large. According to the NFPA, the largest source of electrical fires are lamps and light fixtures. Such fixtures are designed to withstand only the heat from the rated size light bulbs - do not overload the fixture with bulbs that are too large. While it is quite acceptable to use a 100 watt equivalent CFL bulb to replace a 40 watt incandescent bulb as an energy saving measure in your home, the key is that the CFL is only using a few watts of energy and isn't nearly as hot. It won't overload either the thermal insulation or the electrical wiring of the fixture. It isn't the same as screwing in a 100 watt bulb into a 40 watt light. Occasionally equipment of various kinds can fail in such a way that it may not trip a breaker or blow a fuse, but is still drawing more current than it should. Circuits in general are allowed to carry only 80% of the current the breaker will allow as a safety factor but when that is removed the safety becomes marginal. While the current may not trip a breaker, it does cause heat and, over time, can harm the electrical components such as breakers or the wire itself. Eventually resistance rises to the point that enough heat is produced to cause a fire. If a fan, for instance, turns too slowly, if the cord warms to the touch, if it makes strange noises - replace or repair it! Don't simply keep using it until the cord catches fire. Electrical heaters are equipped with a "tip over" switch that turns them off if they are tipped over - never, ever defeat such electrical protections. They can be irritating, but they also save lives. A qualified and conscientous electrician will always follow the requirements of the NEC to produce a safe and effective electrical system, but the same isn't true of homeowners who often don't know what is safe. Another example from my experience: I once purchased a used hot tub from a homeowner. Upon finding that I was an electrician, he asked me to unwire it from the house and I agreed to help him out there. He had run wire from the hot tub to a dryer outlet just inside, but what appeared to be adequately sized wire turned out to be 14 gauge wire wrapped with many layers of electrical tape. Now, that is at least 3 sizes too small for the hot tub and when I removed the large cover from the dryer outlet it simply crumbled in my hands - completely charred to nothing but tiny bits of plastic just waiting to be disturbed to fall apart. The homeowner looked at it, looked at me, and commented that "I guess that's what causes fires, huh?". He was right - that's what burns homes down and it was completely unnecessary. If you don't know what is needed to complete a wiring job safely, either find out or hire someone that does know. Electricians have, in most states, completed years of study and work learning how to ply their craft and are usually quite knowledgeable. Hire one if necessary. Holidays often bring home fires with them. Extension cords are strung everywhere, lights are added all over rooms and vegetation outdoors, and even candles are left burning without supervision. All of these are dangerous and can cause a home fire at the worst possible time. Make sure that your Christmas tree isn't drying out with lights or candles still on it. Put candles out when you're not right there. Protect extension cords, and particularly don't leave the ends of them in puddles or snow. Arrange cords so that children or pets can't play with them; a dog chewing a cord can not only electrocute themselves but can burn the house down as well. A little common sense can go a long way. The National Electrical Code (NEC) is widely accepted throughout the US as the definitive standard for electrical work. A good portion of that code consists of procedures to prevent fire. I have been a professional electrician for many years and I am expected and required to understand and comply with the guidelines of the NEC at all times. That typically includes an understanding of why those rules are in place. 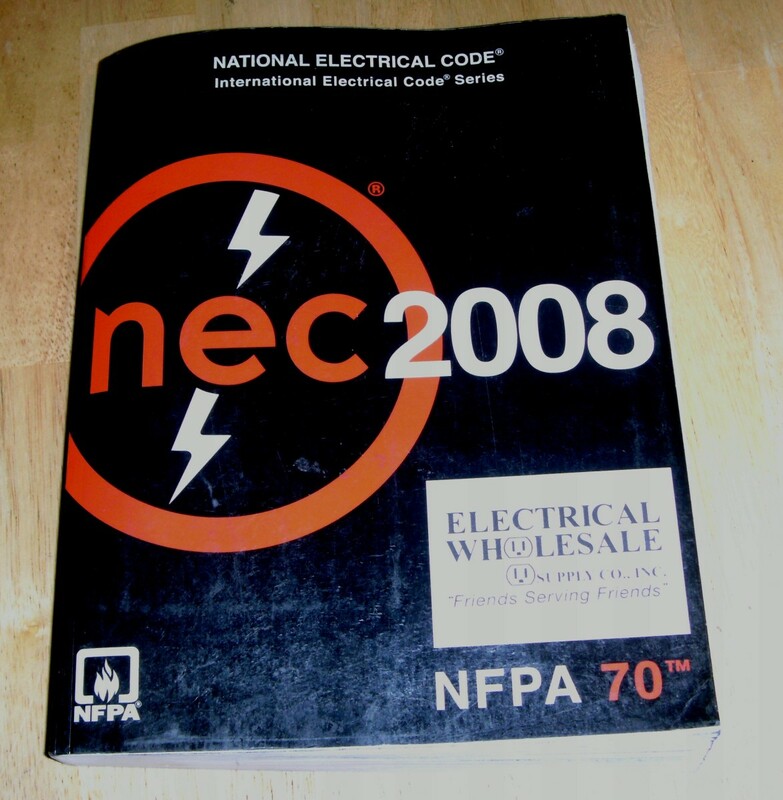 The NEC, some 800 pages describing proper methods of doing nearly all electrical work, is just a small part of the NFPA - National Fire Protection Association. It is not designed to produce efficient electrical systems nor to make profits for the inspectors enforcing the rules. It is not intended to sell particular electrical devices and it will not describe how to wire a house cheaply or quickly. The only reason for the code is safety - all 800 pages describe how to install electrical systems that will operate safely and this includes fire prevention. For example, table 310.16 in the 2008 code lists the minimum wire size for a given circuit breaker or fuse - in the table we can see that a 20 amp breaker requires a 12 gauge wire. This isn't because a smaller 14 gauge wire won't work, it is because a 12 gauge wire will carry at least 20 amps of current (with a considerable safety factor) without overheating and causing a fire. If your home is wired with 14 gauge wire (most homes are) but the breaker keeps tripping it is not only illegal but very risky to replace it with a 20 amp breaker. That 14 gauge wire can now overheat before the breaker trips and cause a home fire, and that's the first lesson for the homeowner - never make changes to the electrical system in an effort to bypass the safety devices installed. GFCI outlets, circuit breakers, fuses, arc-fault breakers - all of these can be irritating at times but they are there for a very good reason - your safety and the safety of anyone in the home. They are designed to shut the circuit off before either a fire or shock can cause any harm and should never be removed, modified or defeated in some manner. In years past homeowners with screw in fuses rather than modern circuit breakers used to remove the fuse, stick a penny in and screw the fuse back in. Any and all protection afforded by the fuse is completely lost as a result and overloaded circuits will simply heat up until they either melt the wire in two or (more likely) cause a fire. Such modifications all too often have literally deadly results. An insurance company is saying that an extension cord that I replaced an end on caused a fire but the cord cap isn't burned, and it still has the paper price sticker on it that looks new, and there was nothing that was plugged in was turned on. The cord is melted about 6 feet away from the cord cap, but that's where the fire was. What should I do? You might hire an investigator yourself, and certainly should take lots of pictures. You will need that cord to determine the cause, though, to make sure that it was not damaged at the burned spot before the fire. If it can be done; I am not an investigator. It doesn't sound like the insurance company is blaming your work; just the cord. Be aware that that is why extension cords should never be a permanent solution to lack of outlets; they are often damaged and/or overloaded and cause fires. Extension cords are one of the most common causes of fires for just that reason. 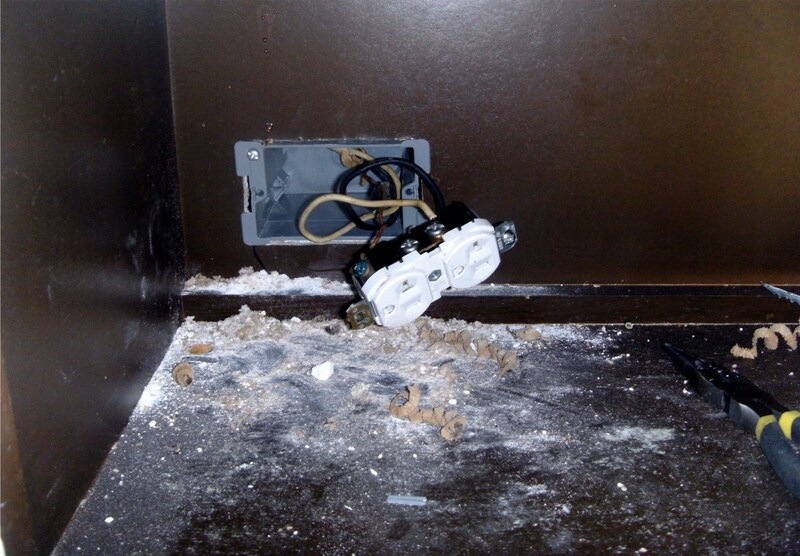 Is there an odor prior to an electrical fire? Sometimes. One might have the odor of ozone if a sparking action is occurring, or insulation or other material might be smoldering. Usually, though, there isn't much to detect. I had a small power transformer that was defective catch fire. Fortunately, no disaster occurred. However, the circuit breaker on that circuit did not trip. Should it have? Do I need to have an electrician look at it to see why it didn’t trip? It is possible that there was never enough current draw to trip the breaker, but it would be unlikely. You should either simply replace the breaker (it is an easy and inexpensive task) or have it tested. If you do call an electrician I would suspect that they will simply replace it as breakers are so cheap as to not be cost effective to test. Most breakers cost on the order of $10 and take 10 minutes to replace. Should you decide to replace it yourself, I suggest reading the article https://axleaddict.com/rvs/How-to-Install-an-RV-Ou... as it contains instructions on installing a new breaker. 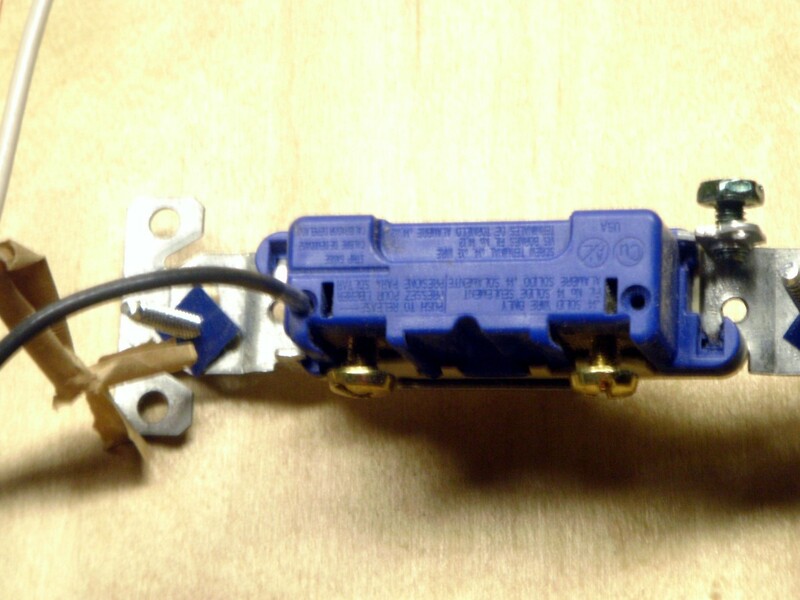 Can a switch that’s turned on cause a fire even if it is not being used? It would be unusual, but possible as long as the circuit is hot. The small springs inside the switch gradually go bad, causing resistance and that resistance causes heat, which causes a fire. The same for the terminals, particularly the ones on the back that hold the wire with springs rather than by tightening a screw. I leave ceiling fans on low running while we are away on vacation to keep the air in our home circulating. Our neighbor says that ceiling fans are a major cause of fires and should be turned off. Can ceiling fans truly cause fires? They are all new ceiling fans, installed 5 months ago. No. It is true that a defective fan could conceivably cause a fire, but so can any device. It is also true that a breeze will fan the flames to some degree (small, with the fan on low speed), but the fan is not then the cause of the fire. Why do electrical outlets stop working? Is this caused by tripped circuit breakers? If the circuit is still live at the outlet, it is likely due to weakening of the springs that hold the plug in or a bad connection of the wiring to the outlet. If the outlet is truly dead - no voltage on it whether a lamp or something works or not and no voltage in the wires feeding it - it is common to find it is GFCI protected, with the actual GFCI located elsewhere in the home. It is also possible that a poor connection on some other outlet is causing the problem; it doesn't need to be the one in question that is causing the actual problem. A splice in a wire nut, in the questionable outlet box or a different one, can cause an outlet to go dead. Worst of all is a poor connection somewhere on that circuit. That will leave voltage on the outlet, but it won't work. Tracing such a problem can be a tedious task. I recently had a 3-way light bulb blow out, and when I tried to unscrew the bulb--it broke. To my surprise, the filament was still working, providing light. However, my husband was upset saying I should have alerted him because a fire could have started from the exposed filament. Is this really possible? Light bulbs work by heating the filament white-hot; so hot (as in the thousands of degrees) that it glows brightly with very white light. If that bare, 2,000 or 3,000-degree filament comes into contact with something flammable (a curtain, perhaps, or your shirt) an instant fire is almost inevitable. Can having too much air conditioning in my house cause a fire? Highly unlikely. Consider that there are very large, house-sized, freezers. The electrical system will, of course, have to be properly sized to handle the power draw. Can a bare copper ground wire running across the floor of my garage attic be stapled down to a wooden floor? Yes, but if that is living area, it's a definite no-no. If it is used for storage or anything else, it is a "no". At the same time, wires are always stapled to the top of trusses or joists, and those trusses or joists are often used for limited storage, so unless that space is commonly used in some way, I wouldn't worry too much about it. You will just have to be careful in the future not to set anything on that wire and certainly not to step on it. 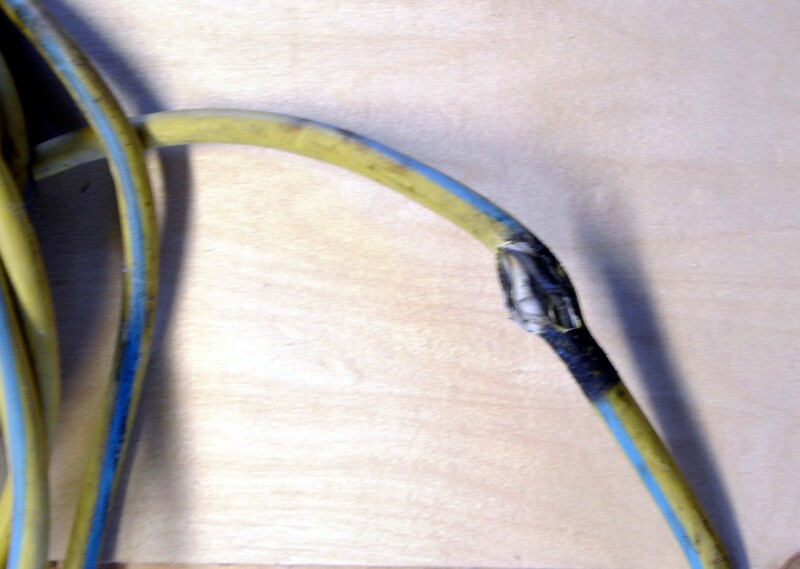 In this case, the problem is not so much creating a fire hazard because of the wire in contact with wood, it is in possibly damaging that wire in the future, which could either cause a fire hazard or even eliminate the ability to carry current completely and thereby create a shock hazard somewhere else. Can a circuit that is not working cause a fire? If the circuit is turned off at the breaker panel, there is no source of energy to cause a fire. However, if the breaker is turned on, but there is a fault somewhere in the circuit that prevents it from being used, then absolutely it can cause a fire. An example might be an outlet circuit with a poor connection that will not let power to the outlet. That connection can easily heat up enough to cause a fire. I replaced a light switch about seven years ago (switching from almond to white), today the switch made a crackling noise the light flickered and didn't stay on. When I turned it off and on again it turned on. Is the switch failing or the outside light? Either the switch is failing or there is a loose connection. A failing light will not make the switch crackle. 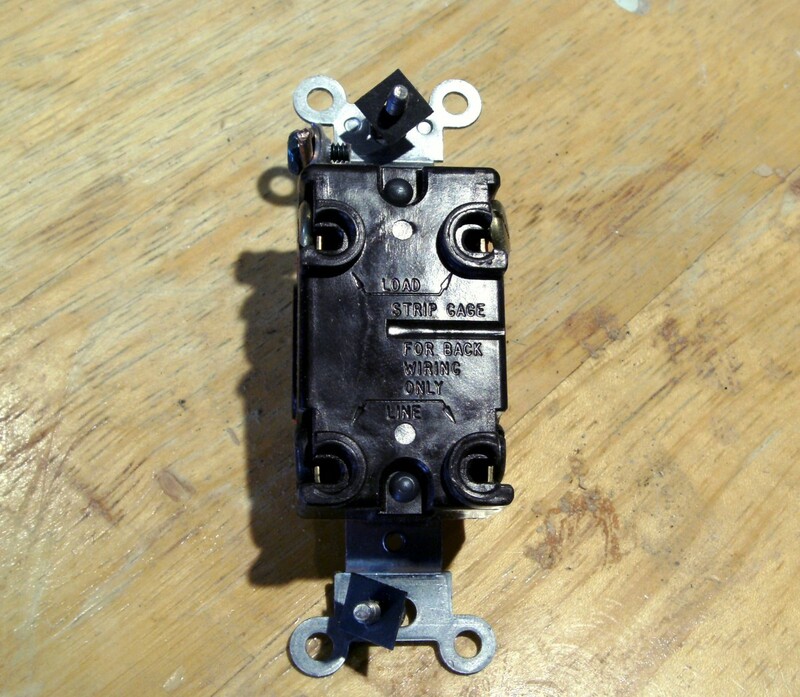 Switches are cheap enough, and the work simple and quick enough, that the switch should replaced as a preventive measure. I recently purchased an electric vehicle and the only outlet I have available also has a small 5 CF freezer attached to it. Would using my 110v EV charger on the same outlet as the small freezer cause a fire? No. However, it may blow the breaker, depending on the draw of your charger. I strongly suggest checking for that problem often - you don't want the freezer to stop cooling and never know about it. My EV can be set to use either 15 or 20 amps - if yours is similar you will have to use the smaller setting. I will also say that it is unlikely you will be pleased with the setup; 100V charging of an EV takes a very long time. My Chevy Volt, which is a plug-in hybrid with a smaller battery, not a full EV, takes as much as 12 hours. You will probably end up buying and installing a larger charger, on a dedicated circuit. How does a light switch cause fire? The terminals can very slowly loosen, causing resistance at the point of connection. This causes heat, which can start a fire. Connections internal to the switch can also degrade over time, doing the same thing. And it is possible for a switch to turn a device on when it should not be, potentially starting a fire. Can a device or circuit catch fire if the power supply is off? If a power supply, internal to a device such as a power supply in a computer, is off the circuit can still catch fire. An extension cord may be in use, for instance, or a wiring fault inside the wall. It is even possible, however unlikely, that there is a fault in the on/off switch which could cause a fire. But if the power is turned off at the fuse box (and there are no batteries in use), there can be no electrical fires on that circuit. My bathroom fan caught fire. We put it out with an extinguisher. It tripped the breaker. Can I reset the breaker and not turn on the fan switch? Not a good suggestion. First, someone else may turn on the switch. But beyond that there may well be burned wires in the fan, which are shorted out and could start another fire. Best to leave the breaker off until the fan can be removed and wires safely inspected and capped off. We just had a storm roll through and half of my house is without power should I be worried about something catching fire? I recently had a garage fire. I hadn't been in the garage in over a week. Nothing was on and the door was locked. It has been ruled electrical. What could've caused the fire to start? It is entirely possible for a piece of equipment, or even an outlet or light switch, to develop a very minor short in it. Just a trickle of power and nowhere enough to trip a breaker. But it can be enough to heat the device or wires and, very gradually, deteriorate the insulation. Over time it gets worse and worse until there is enough heat being produced to start a fire. 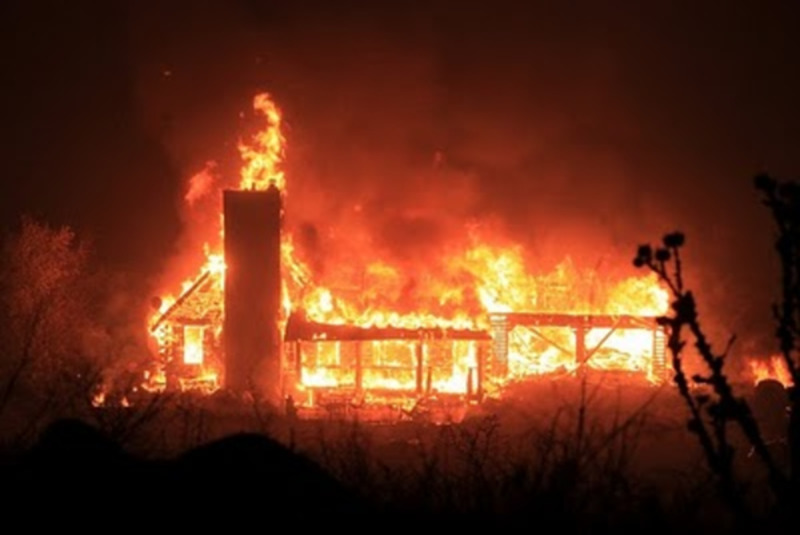 Animals, perhaps mice or termites, even a bees nest, can cause damage to wires with the same result - a minor short that is enough to build heat over long periods to the point that a fire starts. I once worked an industrial site that had a large well with automatic switch gear in the well house to start and stop the big pump. A squirrel got inside and got across the main, 480V, terminals. It was electrocuted of course, but remained there, causing a short between the two terminals. The resulting fire was contained within the metal box, but the entire relay had to be replaced. There’s a big hole in my basement ceiling that allows wiring to go up to my dishwasher above. There is a single wire running from the basement through this hole and up to the upstairs level. This hole is big enough for a rat to go through, let alone a mouse. I stuffed steel wool in that hole around the wire so that mice cannot go through it. Is this a fire hazard? No, some steel wool in a hole should not be a big fire hazard. But be aware that if there are mice in your basement, closing off one hole to the upstairs is not going to keep them out of that area. The cord on my vacuum hasn't been working properly, I plugged into the socket and it caught fire, I unplugged it and it stopped. Is it the electrical or the vacuum cord? Assuming you mean that either the cord or the vacuum caught fire, the problem is one of those. If you mean there was a fire in the electrical outlet, the problem is in the electrical system. Either the outlet or the breaker that didn't trip when it should have. Can light bulbs cause an electrical fire? 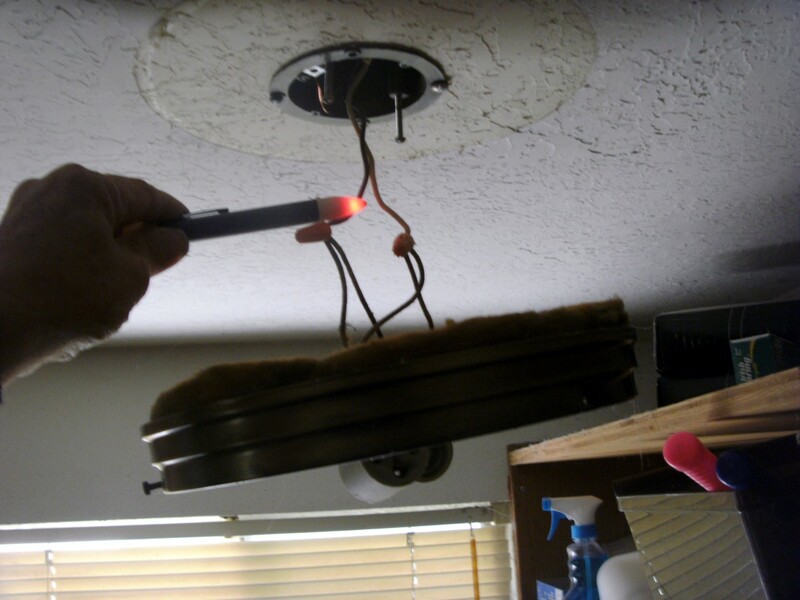 If you use a bulb with a higher wattage than the fixture is designed for, it can absolutely cause a fire. Note, though, that fluorescent bulbs (the "twisty" kind used to replace an incandescent bulb) and led bulbs are usually listed as being an "equivalent" wattage to an incandescent but actually draw far less current and those bulbs can be used in a larger equivalency than the original incandescent bulb. In addition, long term use of a fixture (meaning decades) will eventually dry out the wiring insulation and that can be a fire hazard. Not the fault of the bulb, just the result of years and years of heat. I have mice behind my stove. Can I use expandable foam to fill the holes around the pipes and outlet? You can. Just make sure you don't fill it with so much that after expanding it puts too much pressure on the wallboard, piping, and other items there. But that may not be the best answer to the mice problem, as they may chew right through it. Another option is to fill the holes and spaces with steel wool, as rodents will not chew through that. We rent a studio and in a Victorian house that was made into 4 studios. Apt 2 and apt 3 are on the same breaker panel. For the last few weeks, their power keeps going out. I noticed that now their panel has black duct tape to hold them down in place. Can this be an issue? 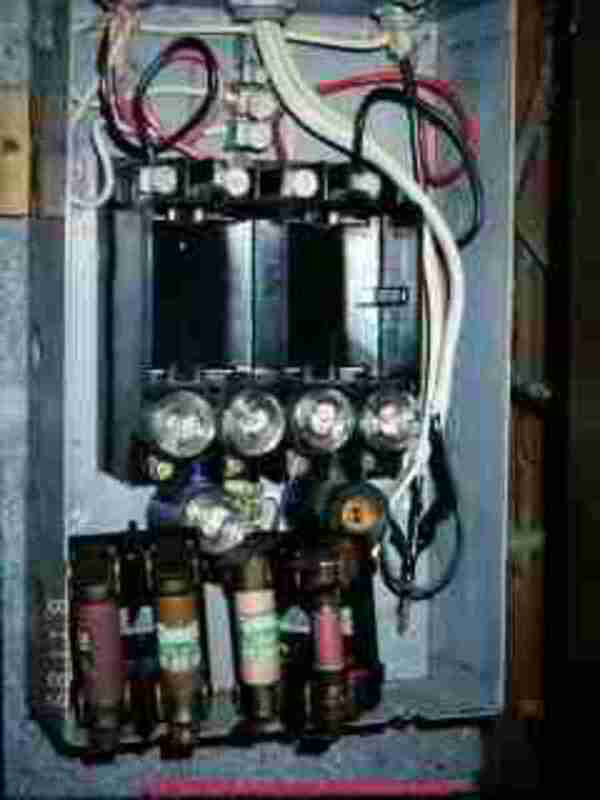 If duct tape is being used to keep a breaker from tripping when the circuit is overloaded then yes, it is a problem. A big one. Breakers blow because the circuit is overloaded and carrying more current than it is designed to do. That means that the wiring on that circuit is overheating, and THAT means there is a fire hazard, so the breaker blows and stops the hazard from happening. Prevent that action somehow, letting the hazard grow, and the next step is to rebuild after the fire. I hung pendant lights that just plug in with no wiring necessary. One of them blew out after an hour, but it was not the bulb. One of them melted at the wire and came crashing to the ground and shattered in our face! We took the other two down after that. The outlets are up in a little groove in the ceiling which I thought was strange. Were these lights incorrectly installed? Is it possible that you have low voltage pendants plugged into 20 volts? Other than that it does sound like either they are garbage, or the outlets were installed improperly. Certainly, if they are melting the wire, they should not be used until an answer is found. Why isn't it a safety issue when connecting a short wire with a light in a circuit? If you're referring to something like a lamp cord, from a lamp to an outlet, it has to do with the resistance of the wire, and a short wire has very little resistance. A wire the same size but 100' long will have far more resistance and create more heat as a result. If you leave an older television on constantly, can that start a fire? Not unless the TV is somehow defective. Older televisions were (and are) designed to run for hours and hours at a time. Leaving one on day and night won't do anything but run your up electric bill. Those old CRT TVs took a good bit of current. @Maxine I am not a forensic expert, but it seems unlikely that with the transformer gone you will be able to prove anything at all. It sounds more like you are overloading the circuits in your home and of course the faulty extension cord. Sorry I can't be of more help. Losing a home is a terrible thing. My house just burned and it was a total loss. The fire marshal determined that it was caused by an extension cord that I had a small electric heater plugged into. The extension cord was one of the power surge cords. After the fire my neighbor told me that all of his lights had went out before my fire and the electric company came out and replaced the transformer. One year ago I had a mobile home sitting on the property and it burned, a total loss. Thinking of all this I'm wondering if the transformer could have caused these fires. For sometime I had been having problems with breakers blowing and we would flip them and they would be good and then another would blow. I couldn't believe that with the size of the entrance box a breaker would blow. It didn't seem to be a problem more than having to go to the basement every time to reset the breaker. What should I do about this and how can I find out now if the transformer was the cause of the fires? If you find a power cord that fits the TV it should all be fine. There are only so many styles of cord and, outside of the physical shape they are all the same. If it fits the socket in the TV it will work. Hi there. After buying new tv which turned out to have some issues like blurry and jittery lines around things, most noticale in animation, I decided to out my old tv, 46 " Sony Bravia bought 2011 back up. Long story short, my mom gave my old tv away to someone who actually didn't even use it or set it up and didn't seem to want it, and they gave it back to me. After being in someone else's house of course i worry what it someone pulled on the cord that's attached to it? What if it was damaged, fell and something inside is loose? Also, I can't find the other cords aside to the one attached to the tv the came with the tv. If I buy replacement cords, if they aren't the exact ones that came with the tv yet fit, can this cause a fire? Should I have an electrician or someone who knows a lot about tv's help me set it up? TV set up people from Best Buy wouldn't come set up an old tv. I'm just worried about this. Turns out the older 46" HDTV bought Dec 2011 is clearer than the 49" Sony HDTV (not Bravia - not sure of exact model) bought 2017. I tried placing new tv farther away too - still blurry. What should I do to prevent fire? Is there someone in particular I should call to inspect and help make sure replacement cords are correct? BEWARE DONT HIRE ROTO ROOTER EVER!!! I still have not gotten my electrical issue fixed it looks as though I will have to go to court!! I'm sorry, but this is not something that could be troubleshot long distance. Your first thought - to call an electrician - is the correct action to take. I wish I could help more. Please, maybe you can tell me what is going on. A few days the front part of the house, living room, dining room, front bedroom, hall, bathroom, lights weren't on or the tv in the living room. I do not make it a habit to reset breakers, but one or two times I thought it ok. So I reset it. This morning it was the kitchen and the back bedroom that wouldn't work. I did not check wall sockets, just lights. So I called an electrician. He said to reset it once and call him if it happened again. I left it off for the day because I was busy. I was in the garage this afternoon and the 2 overhead lights were fine. Went out about 2 hours later they were off, all overhead lights in the house, the refrigerator was off, the wall socket in the living room and one in the kitchen worked. When I checked the fuse box even with a huge part of the house affected there were no more fuses tripped, still just the one. How can that be? How can the same fuse which tripped for 2 rooms now have added most of the house to it please? Personally, I would get rid of it. Toasters are not expensive, certainly not enough to risk losing a house or life over, and at 14 years old you've certainly gotten your moneys worth. If you choose to keep it, though, I would certainly unplug it when not in use. At least that way you know you will be around, and not asleep in bed, should there be a problem. I have a toaster oven, which is plugged into a surge protector extension cord, that makes a weird noise from time to time. The toaster oven may not be used for days and then, all of a sudden, we will hear this piercing, ringing noise coming from it. It has been doing this since we got it 14 years ago. I have to turn the oven on, then off again to make the noise stop. What are you thoughts about this toaster? Is leaving it unplugged okay until we use it each time? Should we just get rid of it? I'm not familiar with gas stoves at all (never had one) but have seen the electric igniters used. And yes, a short could definitely start a fire. It does seem like the gas would have to be on, but as I said I'm not familiar with the ins and outs of a gas range. A short, though, can very slowly develop as insulation is degraded. Eventually there is a trickle of current, which heats and further degrades the insulation. As more time passes that trickle becomes enough to make a spark or to activate something else and presto: a fire begins. Hi there- a few weeks ago, I was sitting in the living room with my kids and heard a ticking sound coming from the kitchen. I went in there and it was the gas stove which was not on, and had not been in use all day. It was making the clicking sound a gas stove makes when you turn the knob on, before a flame ignites. My husband took a look and slowly turned one of the knobs to see if perhaps it mysteriously was partially turned on, the ticking stopped, but within seconds, a loud popping sound was coming from beneath the knobs and you could see red lights beneath the knobs as well. From there, flames came up from the knobs and we had to pull out the fire extinguisher to stop the fire. The appliance company is saying that over time, something like this could happen, and the repair person said that at first glance, it looks like a wire fastener needs to be replaced. I just find it hard to believe that out of the blue, it would start fire. Thank goodness we were home and awake to realize what was happening! Could an electrical short be the reason this happened, and is it feasible for a short to occur when an appliance isn’t in use? Sounds like your outlet has a problem. I would replace it as soon as possible. And yes, if the outlet is faulty it could start a fire, even without having something plugged in - get this done quickly, and consider turning that circuit off at the breaker until it is repaired. If a new outlet doesn't solve the problem then there is something wrong with the vacuum. I plugged my vacuum cleaner in to the living room socket and saw fire coming from the socket. I unplugged the vacuum and it immediately stopped. The vacuum cord hasn't been working properly, is it the electrical socket, or vacuum cord. what do I do now? The fire stopped, but will it restart. oh gosh now i'm worried. i'm renting a house that was designed by a landlord with no experience, the sockets are loose when you plug something in the whole socket will move as if its now even properly in the wall, and things don't plug in snugly, the wires are visible around the sockets, our breakers switch off every 3 months. Right now there are 3 that are still off from overcharge, so we've been using extension cords for 3 rooms and 2 bathrooms that everybody steps on and are jammed under closed doors.. House was probably built back in the 80s by an extremely cheap landlord (there's no insulation in the walls, even, just wires that hang and loosely inside of two thin pieces of wood and spiderwebs everywhere inside). I also wonder if having carpenter ants can damage wires and such, we had thousands of them 2 years ago, seasonal for 3 years. I know nothing about this stuff but thought to look it up, there was a housefire across the street from us from an old furnace, and our furnace was leaking gas last year (was replaced, after a year plus of leaking gas) so i don't trust our landlord to begin with..
My house was finished in 2009. Of course it has arc breakers, but I chose to replace 2 of them with standard circuit breakers. One supplied power to both the master bedroom and the security system. Knowing that arc breakers are temperamental, I replaced that one with a standard circuit breaker to ensure that the security system would continue to work. The other arc breaker provided power to a concrete shed in the back yard; in it is the irrigation system control. I also replaced that arc breaker with a standard circuit breaker. I understand why arc breakers exist, but there tendency to trip occasionally for no valid reason should be considered. Only two suggestions, neither of which is likely. 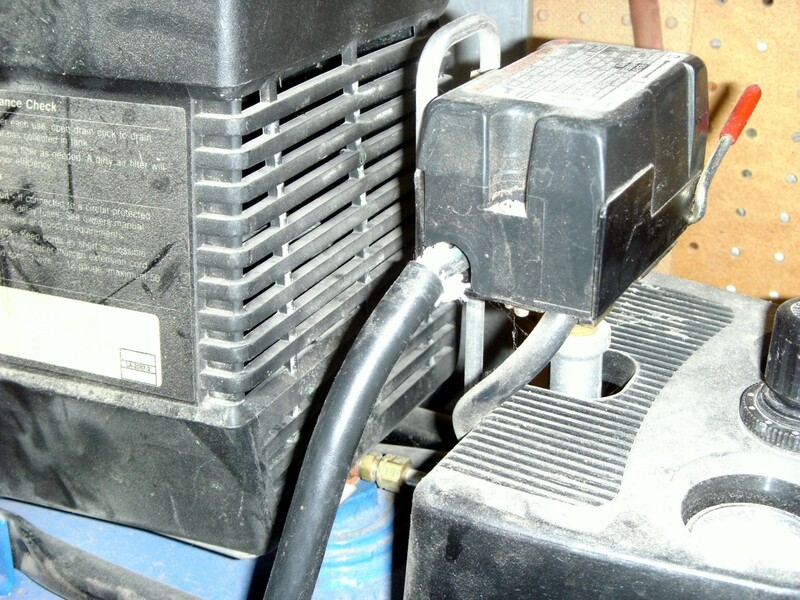 First, some motors will trip a GFCI - that's why a garage freezer or refrigerator sometimes has a non-GFCI outlet. Second, it may be overloading the circuit and blowing the breaker. You might try it somewhere else - living room, maybe - and see what happens. I just plug in my new foodsaver to Gfci outlet and it trip. On that wall there is two outlets that they share line. They made noise trip and of course I did unplug foodsaver but now the second outlet is not working (would not recet) not the one that small appliance was in use. I thought that food saver was defective and I went back to the store got new one and same thing happened. Now when I check that outlet with other appliances it's working fine. Why this is happening? Any suggestions? While AFCI's do help prevent home fires, they are also prone to nuisance tripping and not all devices are truly compatible with these breakers. 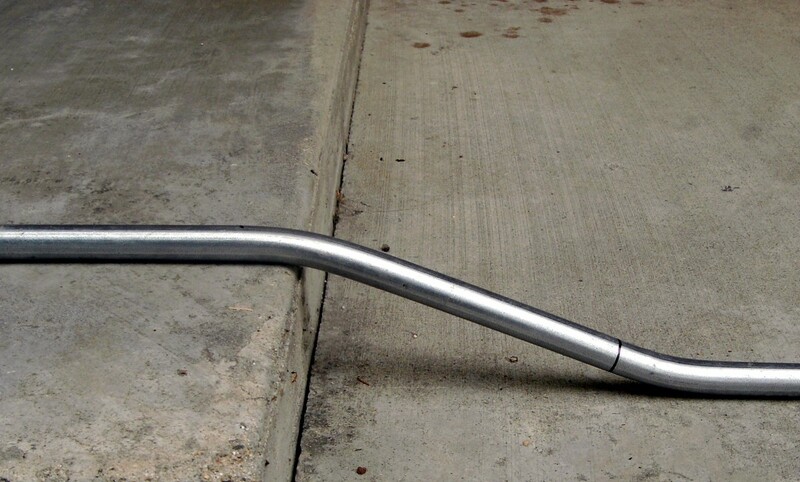 Some vacuum cleaners, for instance, will often trip an AFCI. Dear Dan harmon. Can you comment on AFCIs. The advanced synchronising system still not preventing fires. The breaker trips by precise set of algorithms, which means it is prone to any slight risk, which is quite different from old circuit breakers. Sounds very much like either a loose connection somewhere (although not going off denies that) or more likely the switch needs replaced. Does the switch "feel" different when flicked? Is there a sparking sound? Is it warm? All tests that might help determine if it is bad. We have a light switch in our kitchen that has two switches. One for the kitchen and the other for the dining room. The switch for the kitchen tends to flick and just not turn on or go off. No outlets attached, but both lighting fixtures are ceiling fan with attached lights or just a chandelier with bulbs in the other. Any guesses before we contact an electrician to explain the possible issue/problem or what we ourselves should check? Thank you in advance for your generous assistance. Absolutely it can, Shelia. 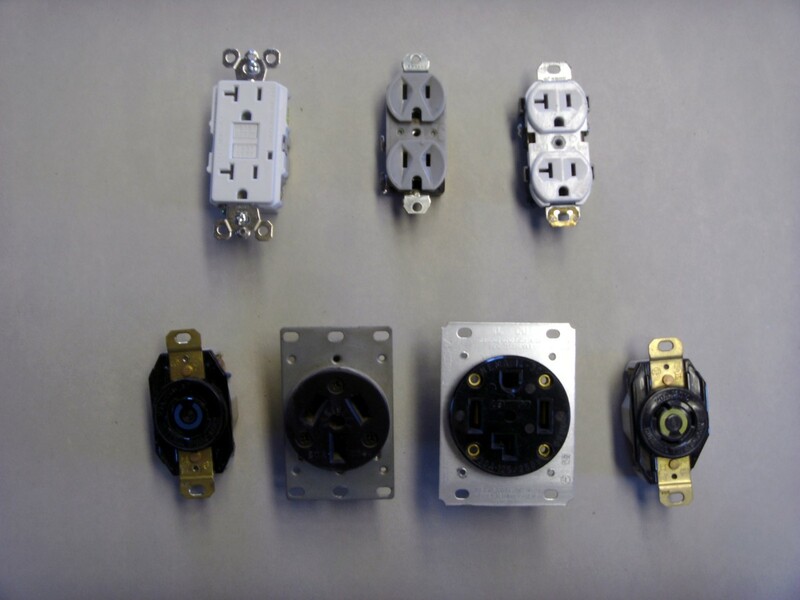 Outlets wear out and a major culprit is the little springs that hold a plug into them. When that happens the electrical resistance rises, the outlet gets hot and a fire can result. Loose outlets. Can it cause a fire. Lights flickering on and off. Appliances going on and off? 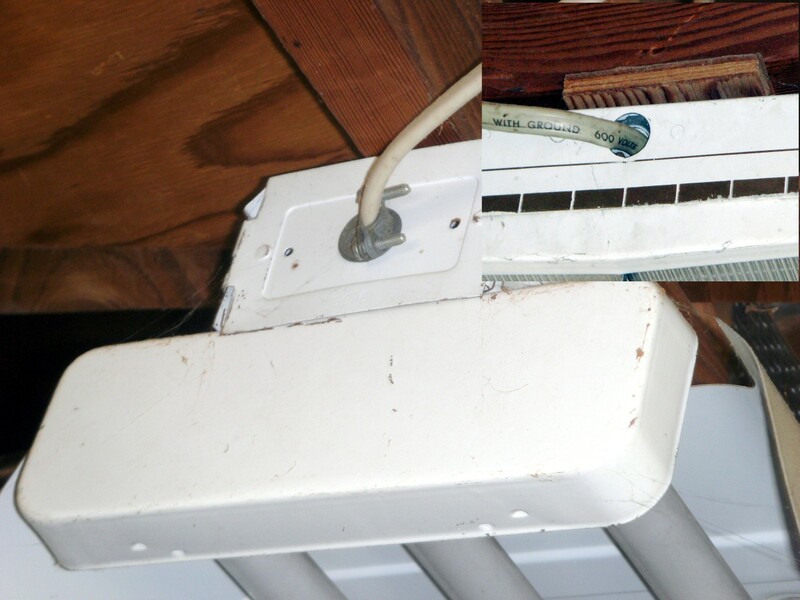 Highly unlikely that a hot ceiling (attic) could make electrical wires overheat. At most, it will be a contributing factor, but most wiring today is rated for 90 degrees C, or 194 degrees F - that's nearly boiling temperatures. The circuit would have to already be overloaded or in some way defective for attic temperatures to fry it. electrical wiring sitting there to overheat? Without going into great detail, a ground system in a house does two things: it provides a path for energy to reach the earth (or the generating station) without going through your body and it provides a path for partial short circuits to enable tripping a breaker rather than building to point something gets so hot it catches fire. If your antennae was actually struck by lightning, the ground system provided a path for that current to reach the earth without going through all the wires and electrical appliances in your house; a very good thing indeed as those wires cannot carry the current of a lightning bolt without overheating very badly. Your new ground wire could be why you still have a home. Good hub. Voted up. I wonder what the importance of a ground wire is. I was recently told my home didn't have one, so I had one installed. A week later I'm quite sure my antennae was struck by lightning, but no fire. Was it my ground wire that saved me? I felt the same way on a visit to Mexico - dozens or hundreds of wires ran up the power poles and clipped to transmission lines. No protection at all, and often dangling within reach of pedestrians. We may complain at the cost of some safety regulations and materials, but it sure pays in the long run. What third world countries do with their electricity hookups is truly scary. I routinely freak out at the electrical set ups in Thailand. I rewired a few light switches and found that the only thing stopping a live wire touching the metal face plate was insulation tape (old, glue failing). 240v cables are joined with simple connector blocks and just left open. Paint one and you could fry. Showers are rarely earthed because it costs money. And when you say re-setting the breaker over and over again is a bad habit... Well, at least you have breakers and micro switches. Still, who wants to die of old age. @denisemai; those can lights may be nothing to worry about; many simply push up into the framework and can work loose over time, allowing them to drop from the ceiling to the point that the wire is all that is holding them. Simply push them back up into the ceiling. @Just ask susan: Good choice - I've seen many older homes still using the old knob and tube wiring with no problems (outside of the fact there is no ground), but have always been afraid of it. Great hub, thanks for the tips! When we bought our home it had all the old knob and tube wiring. In order to get home owners insurance all had to be replaced so out it all came. We also added a 200 amp service. The outlets that are loose or falling down is of concern to me. I live in a fairly new house but some of my canned lights are hanging below the frame. I'm wondering if the electrician did a shoddy job. I'll have my husband look at it. Good article and very timely with the approaching holidays. Friends of ours had a house fire due to a dehumidifier malfunctioning and luckily they were not home at the time. Many people don't realize all the things you have plugged in when you are not home. Thanks for writing this easy to read but very informative article! @Gus; you are absolutely right, and the poor connections that are the result of that oxide are an electrical fire hazard as well. Hi Wilderness - One of the things that folks have to look out for is aluminum wiring. 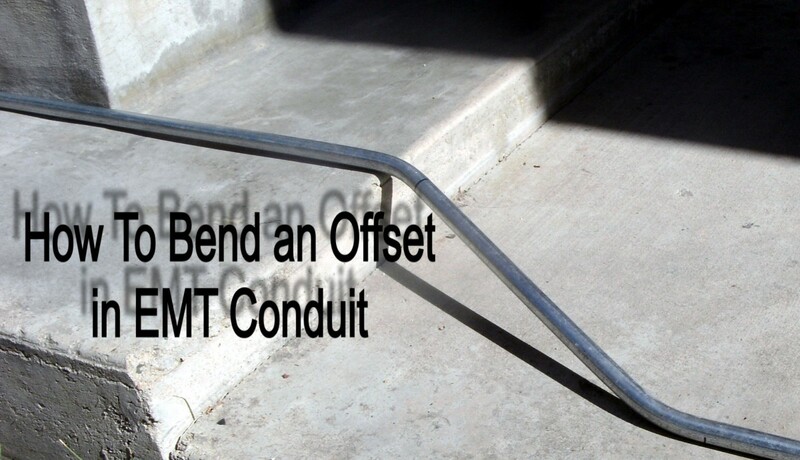 Most of that is probably already replaced or burned out, but the connections degrade due to the forming of aluminum oxide at joins. I did not know you were one of those magical electrical guys. Great informative hub. Loved the photos too. Is it hard to wire an out building, like a storage shed to a home? I want a storage shed for use as a spa room. Of course I'll have to wire it. Or rather pay some magical electrical person to do it. I live with a great electrician so he saves me from myself, but without him I'd certainly need to print this up and keep it as my guide. It is so well put together and so very helpful, explaining the whys and wherefores of electricals. This was very informative and information I did not know before. Great job! This hub is incredibly useful, especially for a homeowner of an older home, like myself. I know there is much electrical work needed in this home done by an experienced electrician. I have fears that the previous homeowner did much of the electrical work himself without knowing how to do things properly and someday there may be a fire due to that. Time to call an electrician! Thanks for the info! Voted up and useful. Invaluable information that everyone should read! Here in the UK, we have a contract with our energy providers to inspect and repair our electrical and heating systems. It's an added cost but one we are happy to pay. Very informative and well written - hmmm I better call the wife I have one switch that needs replacing I think!